On October 3rd 2015, TRID (TILA/RESPA Integrated Disclosure Rule) will go into effect. For the individuals reading this post who don’t spend hours a day reading and researching new mortgage and financial regulations, we would like to break it down for you by going over what it is, and how it will affect you. (On a side note, we would like to point out that the Mortgage Industry is one of the only industries in the United States that would create an acronym out of an acronym). So sit back and continue reading. You’ll be glad you did! And if you have any further inquiries, please call us directly at (805) 619-3550 and we’ll be more than happy to answer any questions that you may have. Be sure to visit our website next month for our follow-up article on the implementation of TRID. TRID is the combination of four already existing disclosures that are currently required under the Truth-in-Lending-Act (TILA) and the Real Estate Settlement Procedures Act (RESPA). In order to improve consumer clarity and promote compliance within the Industry with TILA and RESPA regarding disclosures, the Good Faith Estimate (GFE) and the initial Truth-in-Lending Disclosure will be replaced by a Loan Estimate. The HUD-1 Settlement Statement and final Truth-in-Lending Disclosure are going to be replaced by the Closing Disclosure. What this essentially means is that the 30 day escrow is going away. Additionally, when you go to purchase your home, the process is supposed to move along faster. It should also be said that TRID’s affects are going to be felt by bigger institutions in the form of slower processing capacities. The Loan Estimate has to be placed in the mail no later than the third business day after the application has been received. Consumers must also receive a notice regarding the Closing Disclosure at least three business days prior to consummation. Lenders must keep copies of Loan Estimates for three years after consummation, and retain copies of the Closing Disclosure (in addition to all other Closing Disclosure related documents) for a period of five years after consummation. All Loan Estimate fees will be rounded to the nearest dollar. The Closing Disclosure will also contain additional new disclosures required by the Dodd-Frank Act, and a detailed accounting of the settlement transaction. This is only a partial list; if you would like to learn more about the ways that TRID will affect you, please click here. We know what you just read might have left you with a few questions, and frankly that is to be expected. The Mortgage Industry is a complex industry that is constantly evolving. It’s because of this fact that we at the MortgageCouch exist. We want to help families from all walks of life understand the process so that you can purchase the home of your dreams! 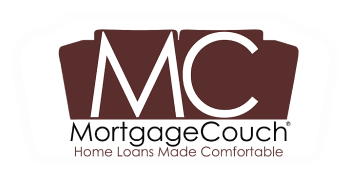 MortgageCouch® Home Loans Made Comfortable.